Learning Chinese is so much more than sitting in a classroom and taking notes. We are in the age of the smartphone and we can access anything at our fingertips in a matter of seconds. Thankfully that includes the ability to learn Chinese. In our ongoing quest to find the best Chinese apps we have stumbled across the recently released Chineasy Cards app. 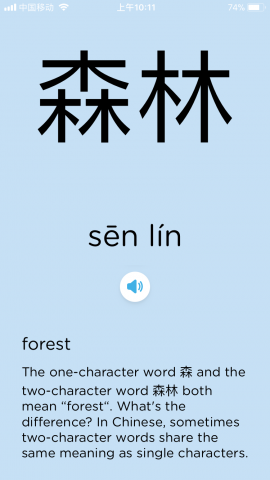 Cleverly launched on the day Chinese New Year 2018; this easy-on-the-eye app teaches users Chinese characters. 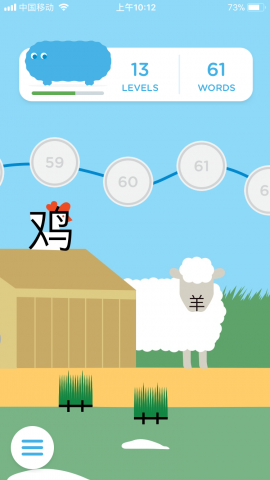 Chineasy shrewdly bring Chinese characters to life by designing a picture around each one with the idea that the picture sticks in your head when trying to memorise characters. 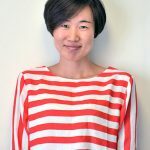 How does Chineasy Cards work? It’s fair to say the Chineasy app is probably the most aesthetically pleasing app of all Chinese apps I’ve played with. The design is so smart, so simple and so easy to follow. Currently there are a total of 200 levels. Although this sounds a lot, levels can actually be completed very quickly. I’ve been told there is scope for additional levels in the future which is a positive for the more advanced learner. One note I did find where it slipped on Duolingo was that, upon opening Chineasy Cards for the first time, you have to start at the first level. When downloading the app I have roughly 400-500 characters to my armour, so going back to the basics was a bit of a waste of time. Including a feature like Duolingo, whereby you are given a brief assessment, would save a lot of time for the more intermediate/advanced learner. As you have to attack the levels from 1 onwards there is no scope to skip levels. However, for the lower intermediate/beginner this isn’t a problem. Despite this, there are still some new words I picked up in the earlier levels where two of the more basic symbols link together to make a word. For example, level 11 combines to symbols 父子 (Fù zi). This makes “father and son”. From the early levels onwards it combines some of these symbols to make some words you may not know so although the earlier levels might be a little easier for some users, you will still pick some new pointers up. Another good example of this is 火山口 (huǒ shān kǒu). Three basic symbols representing fire, mountain and hole to make the word “crater”. That said, this is a hugely appealing app and does start to become addictive. You can dip in and out as often as possible, there is no punishment for getting things wrong, like I discovered on Duolingo, and it’s ability to engrain imagery in your head is surprisingly strong. I genuinely don’t think I’ve come across another app with stronger design principles than Chineasy. This was to be expected actually. The ever growing brand of Chineasy is based around simple but beautiful design. The flashcards are a popular product, one of which we own at our schools for our students to study with. The fact you can now do this on your phone enhances our thoughts of Chineasy. My favourite design feature without a doubt is the home screen. You can scroll from level 1 all the way to 200 and follow what is almost a story. As you scroll you’ll be faced with a load of Chinese characters, brought to life by their delightful illustrations. You’ll find you will take a stroll through the story and learn some characters along the way. As the pictorial and character references are generally so accurate you’ll taking in the Chinese Hanzi without even delving into a level of Chineasy Cards. It’s a very clever way of setting up the app and also makes it easily accessible to all ages. Whereas many learning apps might focus completely on 18 years and above, Chineasy actually even has an appeal to a younger market also going by the style and design of the app. Can I learn Chinese using Chineasy Cards? Chineasy Cards will help you with one/two of these. If you want to improve your Chinese speaking ability, this isn’t the app for you, likewise your listening. However, if it’s reading Chinese that is your goal, this is a must download. There are not many Chinese apps out there that help you learn all four of these elements. In my opinion it’s probably worth downloading the apps that specialize in certain areas rather than try and cover all four. Skritter, for example, looks at building characters with stroke order and learning how to write them. 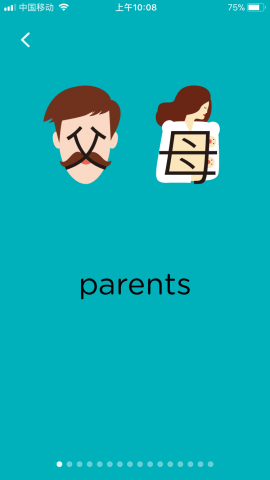 Chineasy cards will help you recognise those characters that Skritter helps you write so these two apps instantly go hand in hand with each other. Although we can learn to recognise the character with Chineasy, if you want to discover how to write the character, you are left underwhelmed – so add Skritter to your download list alongside Chineasy Cards and you have a recipe for success. Add to that the Chairmans Bao – an app for reading Chinese articles. You learn them using Chineasy Cards and you put this into practice using the Chairmans Bao app. Genius! It’s difficult for any app to offer the full speaking, listening, reading and writing package. The chances are, if they do, they maybe a little less detailed than the ones that focus on one area which is another reason why Chineasy is so likeable. It does exactly what the brand does, it’s aesthetically gorgeous and doesn’t pretend to be something it isn’t. The release of the app on the day of Chinese New Year just enhanced our love for Chineasy that bit more. DOWNLOAD IT.